The U.S. Treasury Department is again reducing penalties for taxpayers who didn’t pay enough of their tax bill throughout the year. Taxpayers who paid at least 80 per cent of their estimated tax liability for 2018 through paycheck withholding or quarterly estimated payments won’t face Internal Revenue Service penalties this year, a senior Treasury official told reporters Friday. Taxpayers typically pay fines if they don’t cover at least 90 per cent of their tax liability during the year. Its the second time Treasury has reduced the penalty threshold for the first filing season following the passage of the 2017 Republican tax overhaul. In January, Treasury announced it would remove penalties for taxpayers who’d paid at least 85 per cent of their payments during 2018. Changes to tax brackets, withholding tables and the child tax credit associated with the new law left some taxpayers asking for too little to be withheld, leaving them with surprise tax bills when they file their returns. 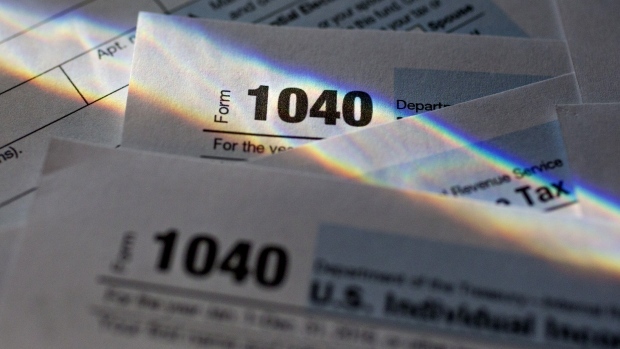 The change follows requests from National Taxpayer Advocate Nina Olson of the IRS and two Democrats, Representative Judy Chu of California and Senator Kirsten Gillibrand of New York, who pushed for legislation after hearing that confused taxpayers were getting hit with steep penalties for under-withholding. Taxpayers can also avoid underpayment penalties if they owe less than $1,000 or they paid 100 per cent of the amount they owed in the prior year. The Treasury official, who spoke on condition of anonymity, said he expects the change will eliminate fines for 25 per cent to 30 per cent of taxpayers who would have owed if the threshold had been left at 90 per cent. About 10 million to 12 million taxpayers paid underpayment penalties totaling about $1.6 billion in 2018. It’s not yet clear whether more people will owe penalties this year, the official said. Treasury will soon release a form for taxpayers who paid at least 80 per cent to attach to their tax return that will exempt them from penalties. Those who’ve already filed their taxes and paid the penalties can request a refund from the IRS for the amount of the fines.